EWG’s most recent analysis of more than 47,000 federal government lab tests of bacteria on supermarket meat found an increase in the already high number of pork chops and ground beef contaminated with antibiotic-resistant bacteria. Levels on ground turkey and chicken breasts remained high, but saw a slight decline. according to 2014 FDA testing. Since EWG first uncovered the FDA’s downplaying of the data in 2013, federal regulators have asked the meat industry to eliminate some of the most egregious misuses of antibiotics, but resistance trends remain high. Our new investigation found that serious concerns persist. Our last report on superbugs put the FDA on the defensive. The agency argued that antibiotic resistance to only one drug is not that big of a deal because there are still some other antibiotics that could treat bacterial infections. But antibiotic-resistance traits can spread as genes pass from one microbe to another, affecting the success of more and more drugs. Enter your email address below to get your FREE PDF copy. Source: EWG calculations based on data from the National Antimicrobial Resistance Monitoring System 2015 Integrated Report, published Oct. 23, 2017. Eighty-four percent of the enterococcus faecalis found on pork by FDA scientists was resistant to tetracyclines, along with 71 percent of that found on chicken and 26 percent of that found on beef.11 Tetracyclines are the most used class of antibiotics in food animals. Seventy-three percent of salmonella on ground turkey was antibiotic resistant in 2014,12 indicating that more than 7 in 10 people ingesting salmonella through undercooked turkey or cross-contaminated foods would face an infection resistant to at least one antibiotic. 2015 data indicate this may be improving. In 2013, when EWG first voiced concerns about these trends, there were no federal legal requirements that antibiotics be used sparingly in farm animals. Later that year, the FDA enacted its first-ever guidance requiring drug manufacturers to do their part to reduce the unnecessary use of antibiotics for growth promotion in animals, or getting animals to slaughter faster. strains of salmonella found on grocery store chicken were resistant to amoxicillin. Based on the past 5 years of available CDC data. Yet nearly 80 percent of the bacteria found on meat remain antibiotic resistant. And despite the overwhelming evidence, the government still allows most producers to give highly important antibiotics to healthy animals to compensate for stressful, crowded and unsanitary conditions. These non-treatment uses are counter to WHO recommendations, and create a breeding ground for antibiotic-resistant bacteria. The FDA’s guidance is still too lax. In 2016, a study by Pew Charitable Trusts, a leading nonprofit research and public policy organization, revealed that even with the FDA’s guidance enacted, problems remain with dosing and duration directives. 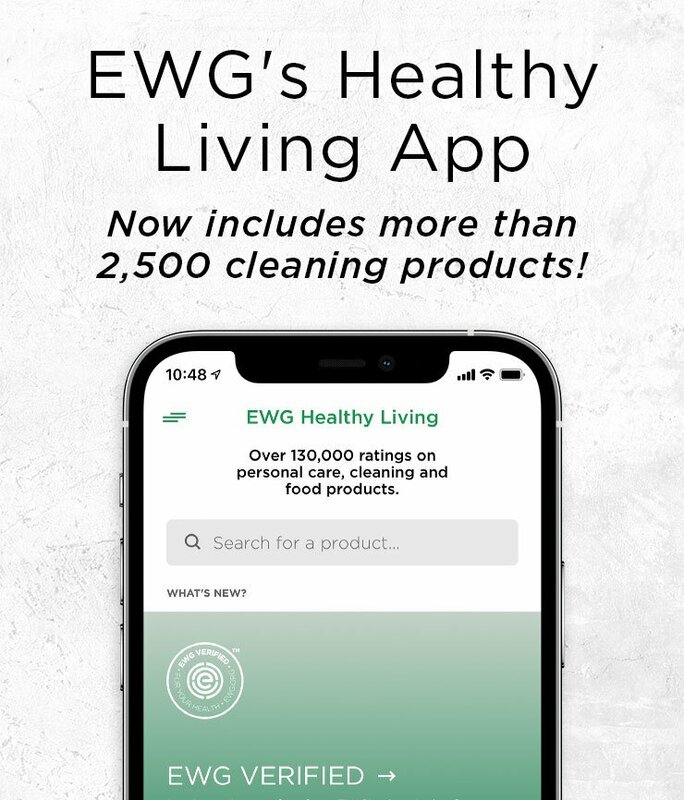 EWG believes that the development of any resistance to an antibiotic is concerning, given that bacteria share resistance genes freely among each other, without needing to reproduce. Of the 14 antibiotics the FDA tested in 2014, salmonella had developed resistance genes to 13. E. coli developed resistance to all of them. This is concerning because the gene for resistance to an antibiotic – for example, tetracycline – can be passed from a resistant enteroccocus indicator bacteria to a neighboring pathogenic salmonella bacteria, creating a resistant infection. Currently, the FDA analyzes resistance trends in bacteria only for “combinations of medical importance,”13 burying its head in the sand when it comes to how resistance spreads among bacteria. We believe that bacterial resistance to a single antibiotic is superbug enough, and consumers shouldn’t have to wait for widespread, multiple-drug resistance and untreatable bacterial infections for the FDA to protect them. Now is the time for the federal government to get medically important antibiotics out of factory farms. The National Antimicrobial Resistance Monitoring System: NARMS Integrated Report, 2015. U.S. Department of Health and Human Services, FDA, 2017. Laurel, MD. EWG calculations based on data drawn from the National Antimicrobial Resistance Monitoring System 2015 Integrated Report published Oct. 23, 2017.
WHO, Critically Important Antimicrobials for Human Medicine. 5th revision, 2016, Geneva: World Health Organization, 2017. Licence: CC BY-NC-SA 3.0 IGO. Grace Chai et al., Trends of Outpatient Prescription Drug Utilization in US Children, 2002–2010, 2012. L.B. Coughlin et al., Salmonella Sepsis and Miscarriage. Clinical Microbiology and Infection, August 2003, 9(8):866-868. Copyright © 2018. Environmental Working Group. All Rights Reserved.